Form 990, Return Of Organization Exempt From Income Tax, or Form 990-EZ, Short Form Return Of Organization Exempt From Income Tax, are due by the 15th day of the 5th month following the end of your accounting period. For calendar year organizations, this date is May 15th. 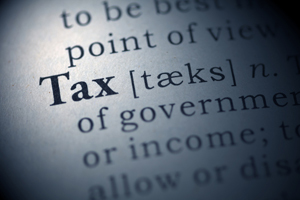 Let LG&H help prepare an accurate and complete filing of your tax return. While generally no tax payment will be due, this annual filing is very important to the maintenance of your tax-exempt status. There can be hefty penalties for failure to file, and if failure to file extends for too many years, loss of your Organization’s exempt status can occur. Additionally, because the forms are open to public inspection, you will want to present your information as properly as possible. We have years of experience preparing the 990 series of forms, including the full 990, which with schedules can number in the dozens of pages for even relatively small organizations. We will work with you to help gather the necessary information, both financial and non-financial, in order to accurately prepare the forms and correctly report your organization’s activities to the IRS and the public at large.